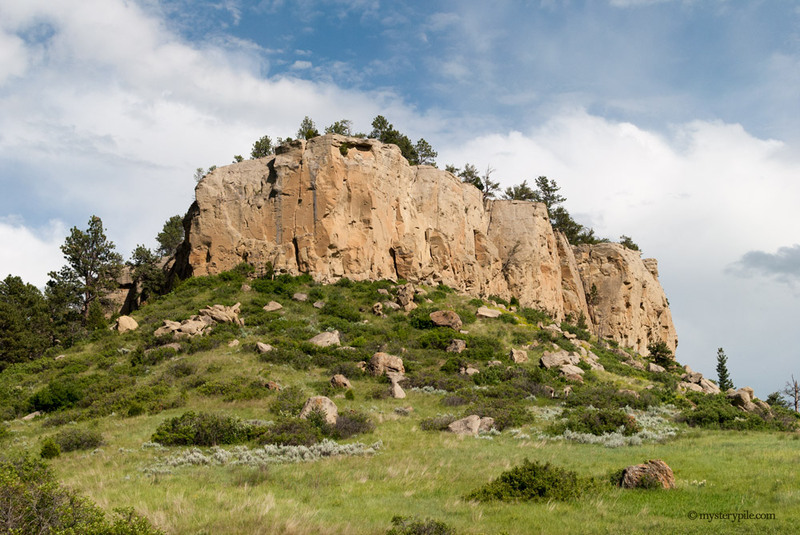 Following sign posts from the highway to Pictograph Cave State Park in Montana feels like a journey back in time as the road narrows and winds its way through aging terrain. Exposed rock at the edges of the entrance road merely hints at the impressive historical site about to come into view. Staff members of the park are friendly, attentive, and genuinely care about the importance of this site; and the museum at the visitor center helps emphasize why. Artifacts recovered from the cave are on display, including fragments of paintings that have fallen from the wall, and they tell an amazing story of how this location became a key point of communication for ancient people. Pictograph Cave has endured for at least two millennia with original rock paintings still visible today. The pictographs display renditions of people, events, and animals; left to interpretation by archaeologists and visitors over the years. Preservation of the site ensures many people can enjoy the paintings for years to come, but the pigments are light-sensitive and fading over time. The caverns here appear to be mostly protected from direct sunlight and a tripod with remote trigger is recommended for pictures, considering flash photography is prohibited. While respecting this rule we were fortunate enough to get a few nice pictures of the pictographs and park on a warm sunny day. We understand how people may spend hours here, to take in the scenery and explore an ancient site which feels like standing in a world as a witness to another era. 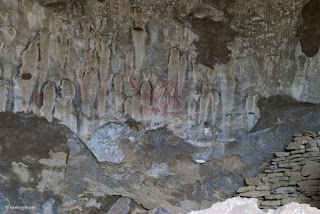 A second sacred spot in the park, known as the Ghost Cave, is only a short hike from the main pictograph area. 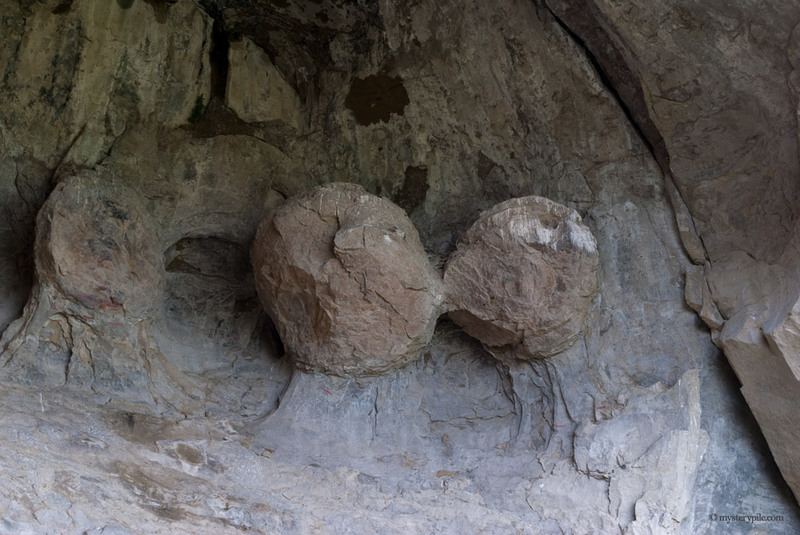 The wind whips through this cavern in a certain way that makes it sound like voices are emanating from a series of round rocks resembling heads. Low pitch calls from bison and cows in a field across from the park add to the effect in an eerie way. Like the cattle, rattlesnakes make their presence known around here too. The sound of rattle shaking is distinct enough to notice and served as a warning not to stray from the well-kept path. We traveled with a dog and were concerned about a snake confrontation, though everything worked out without incident. There is a certain spiritual magnetism to the caves and rock formations that seems to naturally attract people to stay, relax, and explore. Evidence of the mysterious attraction resides with thousands of artifacts from varying time periods; eventually unearthed and pieced together for a better understanding of how the caverns were used for shelter and passing knowledge. 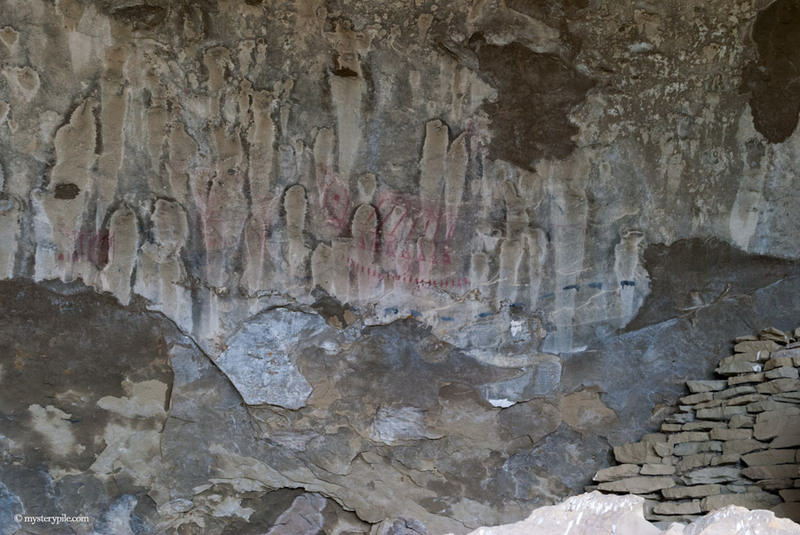 As a national landmark, Pictograph Cave is a bold reminder linking our ancient past to the world today through a series of rock paintings intended to communicate over hundreds of years. It is beautiful place that has stood the test of time and hopefully will continue to inspire future generations with the way of life of our ancestors.